Challenge rowing matches between Thames watermen were popular as early as 1698. 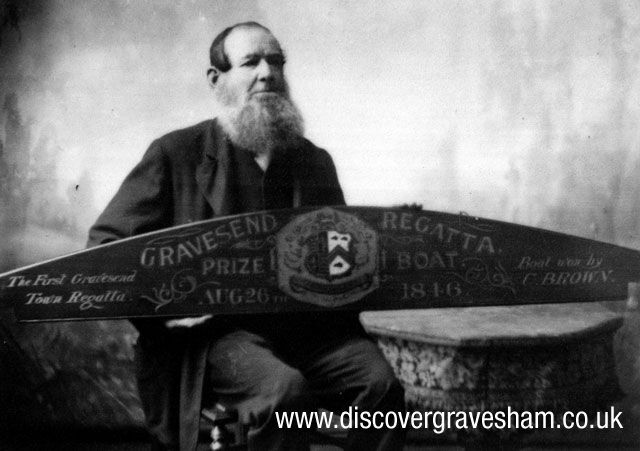 A famous victory for the Gravesend watermen was 1804 when they covered the 67 mile course - from Gravesend around the Nore light and back up to Rotherhithe - in a record time of 8 hours and 17 minutes. The London team retired seasick! At annual regattas, staged for the visitors, the watermen competed in rowing races and the fishermen raced their sailing boats, all displaying tremendous skill on the water. The Yacht Week of the Royal Thames Yacht Club, based at Gravesend in the mid nineteenth century, attracted many wealthy patrons.